At last I am back from my unexpectedly extended hiatus! Sorry about that folks. I spent the first week, as planned, traveling and visiting with my family in the cold, barren wasteland that is New England right now, and then I spent the next week at home in my nice cozy apartment coughing up a lung because I got bronchitis. Fun! So for those of you keeping track at home, I spent the past two weeks asleep. Almost entirely. I'm not kidding. Between my family unanimously deciding to make me take Dramamine before any and all car rides longer than an hour and then coming home and being on Nyquil all the time, I have spent the last two weeks almost entirely either in a drugged stupor or actually asleep. And now I feel very rested. So there's that. The other benefit of my accidental convalescence is that I finally got to check out some of the shows piling up in my Hulu queue, such as today's topic, Fresh Off the Boat. Hooray for sick days! For those of you who've managed to miss all the angry headlines flying back and forth, Fresh Off the Boat is the new ABC sitcom based on celebrity chef Eddie Huang's memoir of the same controversial name. * It's semi-biographical, like Everybody Hates Chris or All-American Girl, following the Huang family in 1995 when they moved from the strong Taiwanese community of Washington DC to Orlando, Florida. The main character is eleven year-old Eddie (Hudson Yang), the black sheep of his family. Eddie is deeply resentful of having to move from his old life in DC to the Florida suburbs. He's an outcast at school and faces the usual middle school horribleness, as well as some actual overt racism. His younger brothers, Emery (Forrest Wheeler) and Evan (Ian Chen), adapt quickly and well, but Eddie continues to struggle. So he takes refuge in hip-hop music and basketball culture - and fights with his parents over his right to be his own person and not necessarily assimilate into Taiwanese immigrant culture or white culture. Meanwhile, his parents, Jessica (Constance Wu) and Louis (Randall Park), are betting everything on Louis' dream: to own his own restaurant. He wants the American dream. He doesn't want to keep selling furniture for Jessica's brother, so Louis has mortgaged the family's future and bought "Cattleman's Ranch", a generic steakhouse in Florida of all places. He has dreams and plans and he wants something great for this family. And Jessica, for the most part, supports that. I saved Jessica for last because out of all the characters, Jessica is the one I relate to most. Like, I get her. She's less than thrilled to have her life uprooted and moved to a part of the country she hates in order to support a future and dream that seems ever more tenuous and financially unsound, but she does it anyway. She loves her husband. She's not going to go quietly, but she does go, and she makes the best of it when she gets there. While Eddie is the main character in name, with his character doing the voice over and serving as the central character for dramas and conflicts of the show, it's really Jessica who acts as the series lead. She's the one who, as a first generation immigrant, has to grapple every day with her mixed feelings about her newly adopted country. Louis is all about America and the American dream, while Emery and Evan are almost scary good at assimilating into the white culture of Orlando. So it falls to Jessica and Eddie to figure out who they are in this place. How does one be "in but not of" a prevailing culture? The show deals with this in a surprisingly compassionate and compelling way - arguably the only way to really tell this story. 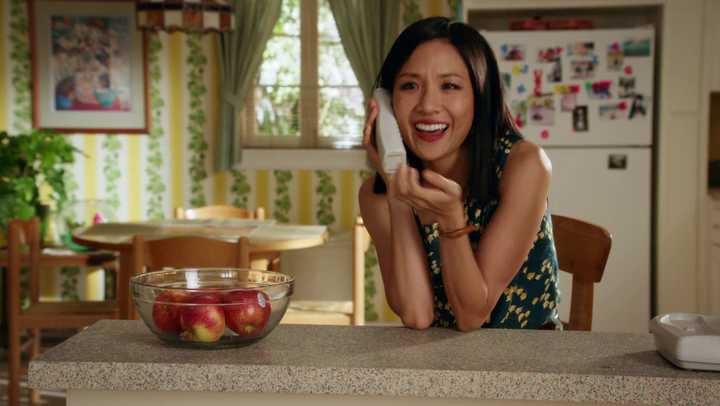 Instead of taking the usual tack of showing how weird the Huangs are for not assimilating to white culture, the show places us as the audience directly with the Huangs and instead others the white culture. It shows us exactly how weird white culture looks to other eyes, and points out all the stuff we take for granted but is actually kind of insane. It also shows us the daily negotiations that the Huangs must make in order to reconcile themselves to a white culture that doesn't really want them unless they assimilate. Louis wonders if business would improve at his steakhouse if he hired a white guy to be the front man. Are people not coming in because the feel weird seeing Asian faces in such a white place? Eddie's demand to have "white people lunch" - by which he means Lunchables - reveals that he's found it inconvenient to own his true identity as the child of immigrants. It's easier for him to identify with any other culture, like bonding with other students over Notorious BIG and bringing Lunchables to school. Jessica's perspective on this, a kind of exasperated determination, makes her sympathetic to the viewer, but also keeps the show from letting anyone off the hook. Jessica's not going to pull her punches. She's going to point out all the weird crap that white people do, and she's going to make it completely clear that it's a white people thing, not a universal truth. In the first three episodes alone, Jessica rants about the abhorrence of having to make conversation with someone holding a baggie full of dog poop, rails against the terrors of buying "white people food" at a giant supermarket, and desperately tries to decipher an elementary school that "doesn't do grades". They're all cultural negotiations that are honestly pretty distinct to white culture but that we as white people have come to think of as "universal". They're not. That's just us, guys. We're super weird. But like all other kinds of privilege, white privilege is almost impossible to see until it's pointed out to you. How can you understand that your culture is not the default until you see it through someone else's eyes? We white people have the "benefit" of an entire entertainment industry telling us that our culture and habits are totally normal and everyone else is weird for "deviating" from that "standard". That is not true at all. White people have a culture, and it's shows like Fresh Off the Boat that help show what that culture looks like by giving us a family of people on the outside looking in and going, "Ew. Weird." Seriously! I love that Jessica Huang refuses to conflate "white culture" with "America". She's all for her husband pursuing the American dream, but she doesn't want her son to be ashamed of bringing her Taiwanese cooking to school for lunch. As she says at one point, commenting that Evan's friend gave him string cheese and he appears to be lactose intolerant, "His body is rejecting white culture, which makes me kind of proud." It's not that she hates white people, it's that Jessica sees no reason why white culture should matter more or be more influential than her own culture - that of the Taiwanese immigrant community. She misses being surrounded by a culture that feels more familiar to her. She misses the Chinese market in DC, she wants to try to haggle over prices at JC Penny, and she thinks that school is way too easy for her kids. Jessica loves America, yes, but she isn't sure if she likes white America. And that's a really important distinction to make. It's important not just because it forces white Americans like myself to open our freaking eyes and see that we live with incredible cultural privilege, but also because it allows us to have a conversation about what "American culture" actually is. I mean, for so long we've been pretending that American culture and white culture are the same thing, but they're not. So what is American culture? I'm not answering that here, mostly because I don't know, but I like that the question is being asked now. After all, by the year 2050, America will officially be more not-white than white, and I think that's awesome. Diversity is great. But before we get there, it'd be good to figure out where we're going. Jessica Huang's America is different from my America, and that's awesome. But there must be a lot more Americas out there that I have yet to see. I want to see them. I think it matters. 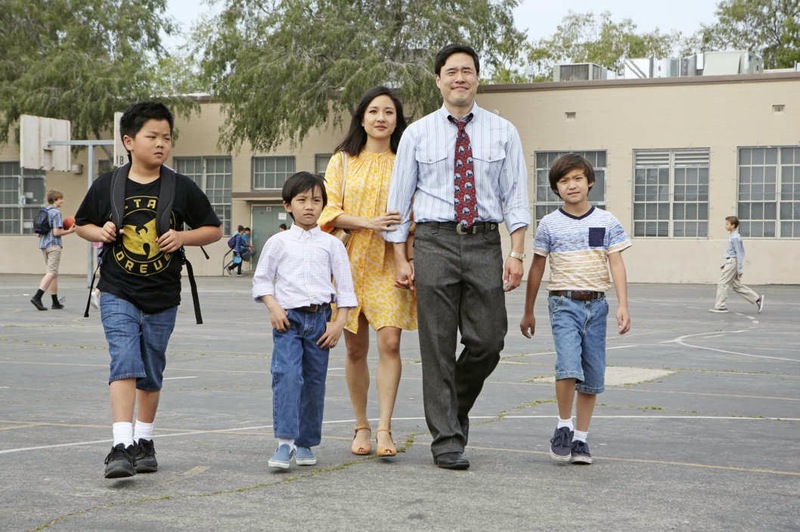 But, to start with, let's all agree to watch Fresh Off the Boat and other shows like it, shows that insistently show Americas we might not know as well, that don't cater to a white audience, and that openly admit to the ambiguous nature of the immigrant experience. 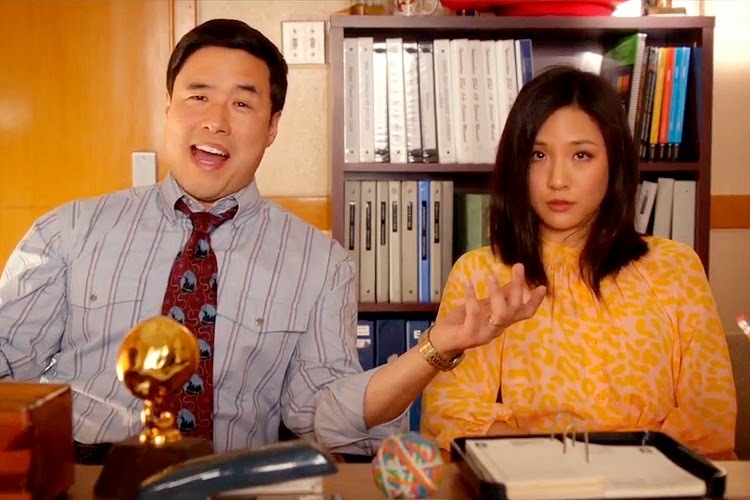 Fresh Off the Boat might make you feel uncomfortable sometimes, especially if you're white. Watch it anyway. It's good for you. I mean, it doesn't hurt that it's also a freaking good show. Great comic timing, well-written jokes that don't rely on tired stereotypes or plotlines, and some seriously classic physical comedy. And you can even count on it for some truly heartwarming episode endings that make you feel good about the world. So, funny? Check. Heartwarming? Check. Challenging the cultural status quo? Checkity check. What more do you need? *"Fresh Off the Boat" is sometimes used as a slur against recent immigrants, but there is also a movement to retake the term as a way of referring to the cultural experiences of first and second generation immigrants. I have no strong feelings on this debate. I'll let people far more qualified than me figure this one out. Sitcoms aren't usually my thing, but this sounds tremendous.